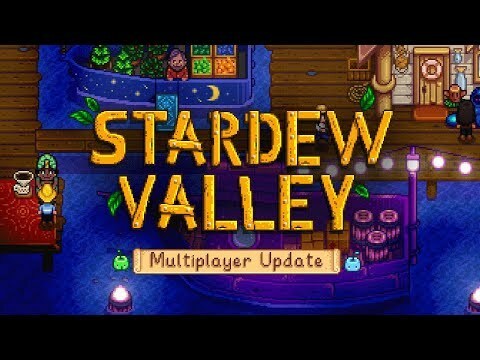 Developer ConcernedApe (that’s an awesome name for a dev, by the way) has confirmed that the multiplayer update for Stardew Valley will drop on August 1. The feature has been a long time coming and has been doing the rounds in beta form for months now, although it won’t arrive on PlayStation 4, Switch, and Xbox One versions until a later date. Oh, and PlayStation Vita won’t receive the update at all, which is a bit of a shame since it only came out a few months ago on Sony’s handheld. Multiplayer in Stardew Valley pretty much does what it says on the tin. You can invite up to three mates to join you on your farm, where they’ll set up shop in a cabin and act as farmhands. While your buddies can perform all the usual tasks such as farming and mining, you can even cobble together a wedding ring and marry one of your friends if you’re feeling in the mood. There’s also a chat box, custom emojis, and the ability to tweak the game’s difficulty. If you’re on PC and are getting bored growing the same old crops, then there’s always this new mod that lets you grow and sell weed.